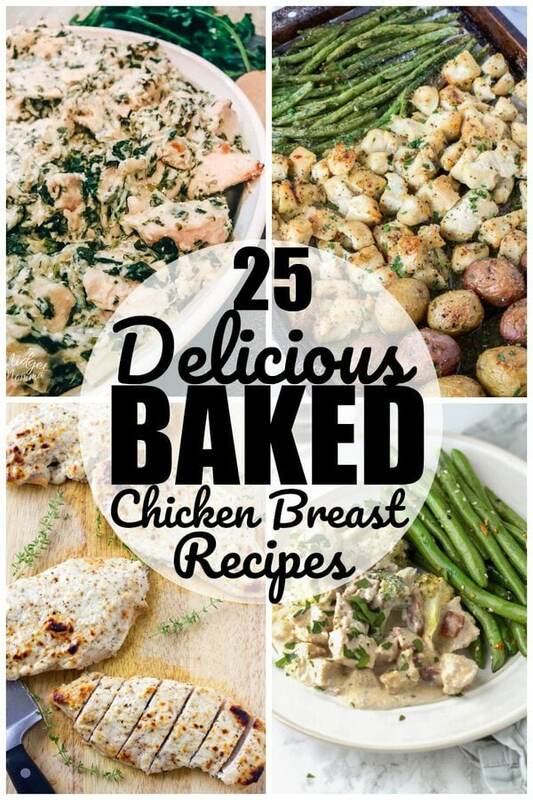 25 Delicious Baked Chicken Breast Recipes! Looking for delicious oven baked chicken breast recipes? Look no further. These baked chicken breast recipes will give you great ideas for making chicken. How many times have you been asked what’s for dinner? When you answer, Chicken, it is met with moans and groans, Not chicken again. 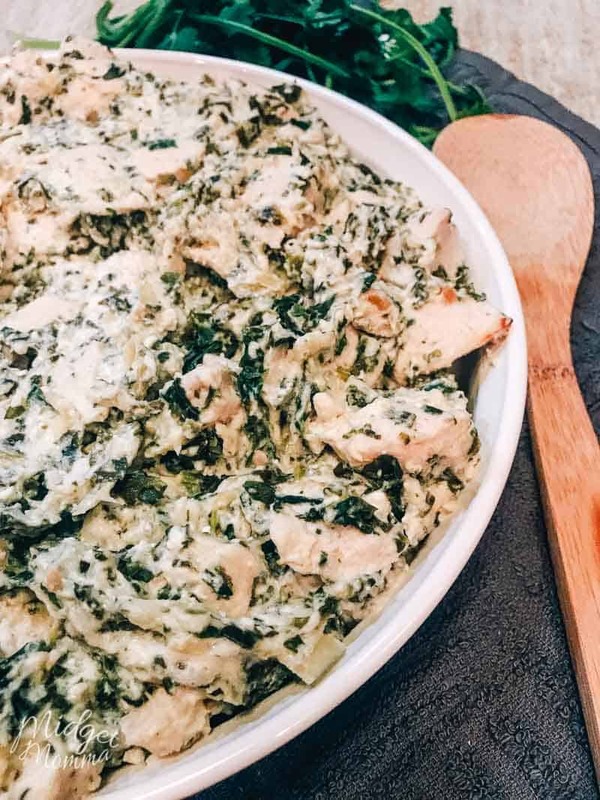 Chicken is a great meal choice because there are so many things that you can make with it. It is also inexpensive and good for you. However, no one wants to eat the same thing all the time and it can make it hard to want to keep making baked chicken breast. With these oven baked chicken breast recipes, you won’t have to worry about making the same ol’ same ol’ anymore. I love making baked chicken breast. There is so much that I can do with it. There are so many ways to flavor chicken breast that is easy to make something different with chicken all the time. Sometimes, I get stuck making chicken breast the same way over and over again. If you have the same issue, then this is definitely the post for you. These oven baked chicken breast recipes are going to give you a whole new way to make chicken breast. 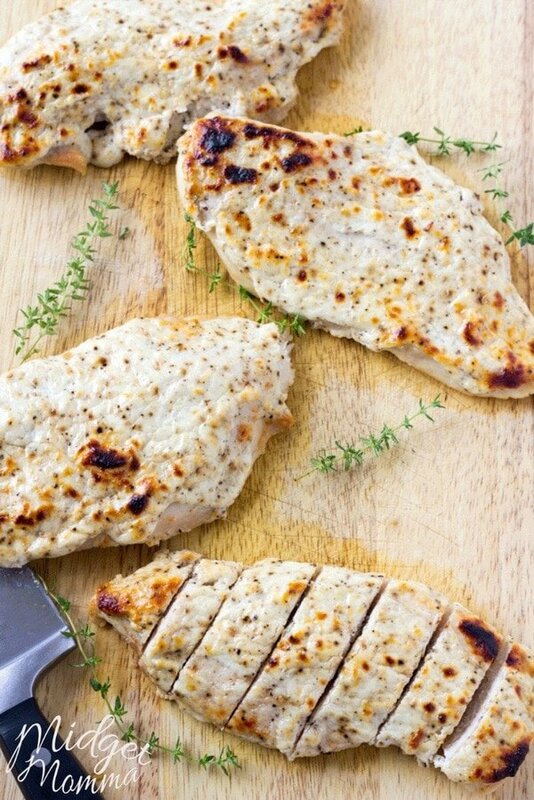 Chicken breast is one of those foods that is on most healthy eating plans. Whether you follow the Keto diet, Weight Watchers, or a Whole foods, chicken breast has its place on each one. That makes it a truly versatile food. However, that does mean it can get boring. Sometimes, it does take a little more than regular seasoning to make your baked chicken breast take on a new flavor and taste and keep everyone from getting bored with it. With these oven baked chicken breast recipes, you can have chicken again and again, and it won’t feel like you are eating the same thing every night. When creating your menu plan, try to incorporate a lot of different ideas from these baked chicken breast recipes. It will make it easier to plan your menu because you have a lot of go-to, tried and true delicious recipe ideas. The next time your family asks what’s for dinner, don’t just say chicken, now you can tell them “I am trying a new recipe”. Then when they get to eat, they will be excited to try the new oven baked chicken recipe that won’t even notice that it is chicken again. Looking for more Tasty Recipes? Check these out! Save yourself a headache in the kitchen by printing out the How Many cups in a Quart? and all other liquid measurements you need printable chart! I keep mine on the fridge!